Photos by Shannon Fortenberry, Glover’s Reef Resort, Glover’s Reef Atoll, Belize, May 2010. 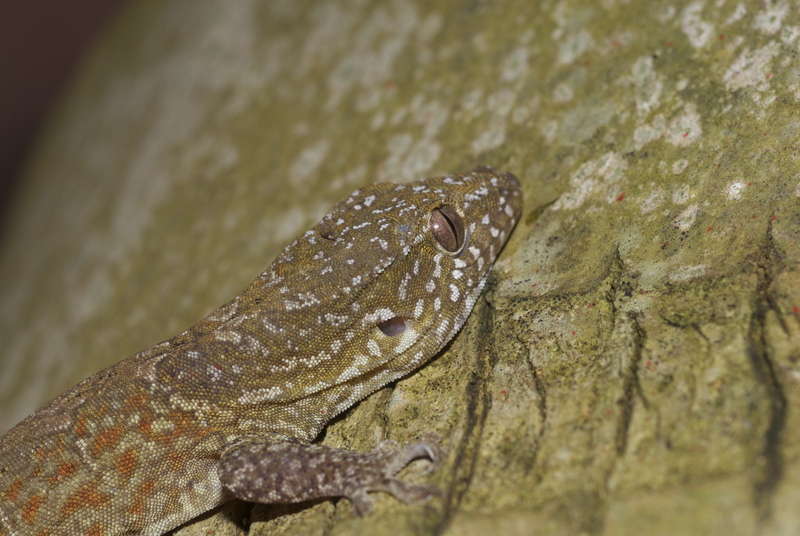 Weatherman geckos (also known as the Saint George Island gecko) are so named because they make a sound that is a somewhat loud chirp, supposedly as storms approach. This is true, but they also vocalize at other times. They may be found at night on the trunks of coconut trees, buildings, in thatch, and the like. 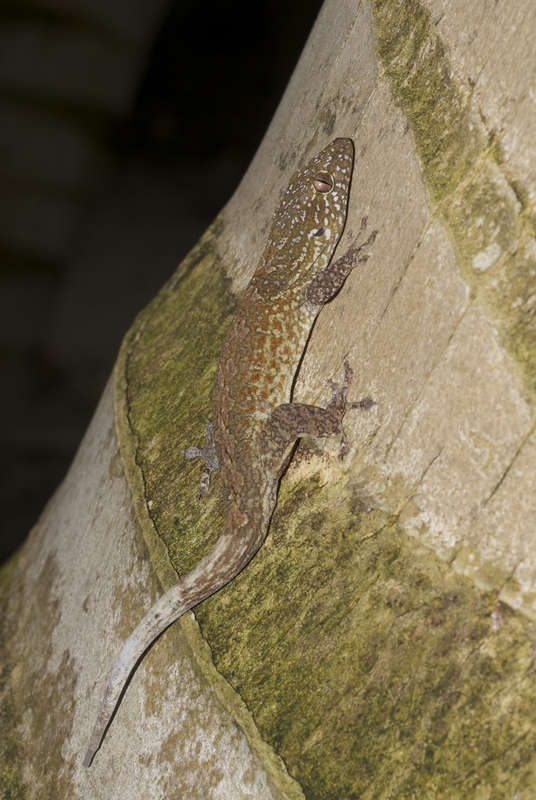 Can be quite abundant on cays where they occur, and are spotty along the coast of the mainland. of the eastern Yucatan Peninsula. Rather large, being up to just over 4 inches snout-vent length.